Although my instrument when purchased seemed to be set up during "bring your kid to work day" the tech staff at L&M Calgary set it up wonderfully. I love the sound that this Yamaha made guitar produces and the way it plays without the modeling. Add on the modeling and tuning features and it's become my go-to guitar. It simply effing rocks! 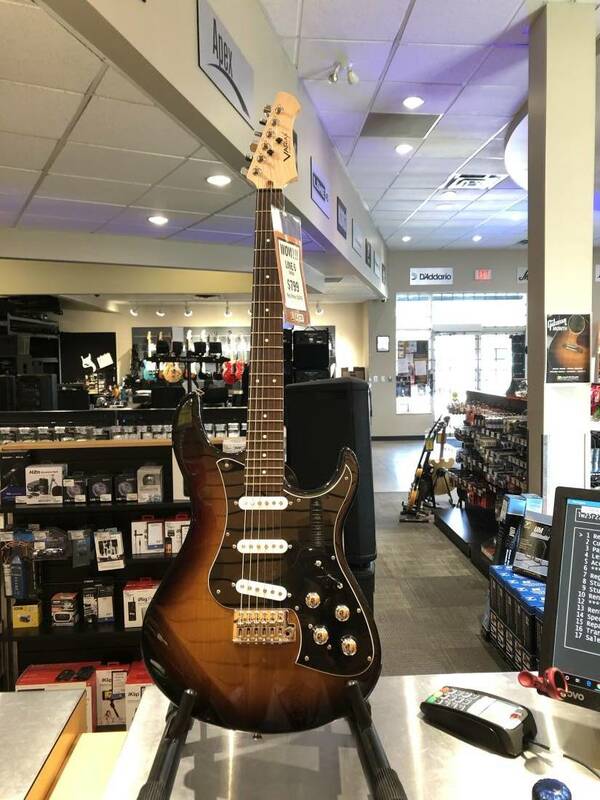 It really is fantastic as a normal guitar and I'm sure many fender strat lovers would enjoy this instrument thoroughly! Plug this into a Pod (or Helix) and plug that into a small powered PA speaker or monitor and be amazed. You need the flat extended frequency response a regular guitar amp can't give you to do the acoustic and resonator models justice, and the Pod will provide all the amp and effects you could ever want to bring the best out of the extensive electric guitar models it has. The guitar is well worth the money even without the modeling, but recording single coil electrics like a Strat, Tele or a P90 equipped LP Junior minus the hum is quite a bonus. Foot switching Pod presets can change guitar models, tunings and pickup selection as well as amp and effects configuration, so you can go from a big fat jumbo acoustic 12 string sound to a dirty Les Paul in drop "D" through a big Marshall stack, with one foot switch stomp. Simply put, the best piece of gear I've ever seen. My buddy bought one and I was dubious at first, but once I noodled a bit I was hooked! Black magic is all I can say. I gig and now, some of my pedals are nervous. Wonderful, warm, friendly feel...beauty all around. Grab one or....at the least grab yer friend's. It truly is a nifty, moody, groove. Incredible! What a wonderful and entertaining toy. You want a banjo, or perhaps a vintage 12 string... a Les Paul...a Lennon or perhaps a Tom Petty Rick sound it's all there. So far so good. Battery powered..remember to unplug it completely when ya go to bed ( they tell ya so in the manual ) As a stand alone guitar... beautiful! Yamaha knocked it outta the park! Tone, presence, and feel...WOW MAN!!!! Don't even get me going about the tuning functions! Sooooo versitile...soooo fun! I got mine last August for under $1000 (price has gone up I see). Well worth it. I got the sunburst (unfortunately it comes with white pick up covers) White pick up covers might have been cool with Stevie....but I ain't SRV. So I ordered back covers (Fender) and it changed the whole guitar's vibe. I call him "Smokey". Yer nutz if ya don't at the very least look at, or pick up one of these things . Shouts out to the Nanaimo staff....absolutely the best!